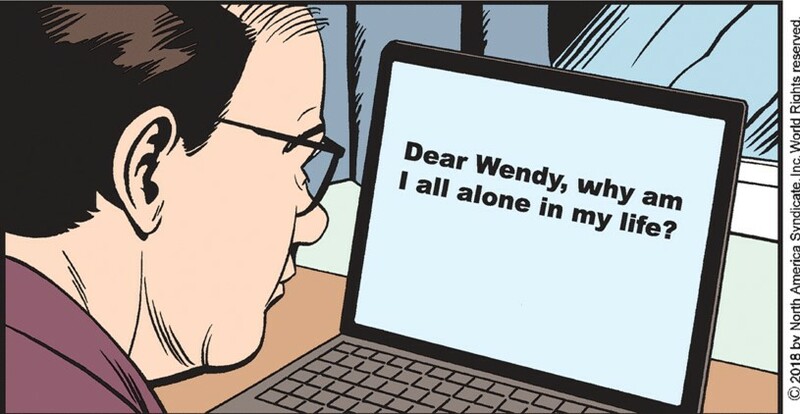 It looks like this storyline is about what a sad sack Wilbur is. I'm all for that. ...signed, "At least you have a friend!" Maybe Wilbur is going insane and sent the question to himself and is now getting into an argument with himself. Two possible storylines: Dawn and Harlan in Beautiful Italy (mild potential); Sad sack Wilbur (zero potential). Guess which one Baren Coy will go with? I have exciting news for all (both) of you devotees of the Mary Worth strip! June Brigman and I are taking a sabbatical in order to research a new and exciting Mary Worth adventure. For the next several months we will be taking a tour of Western Europe in search of situations for which Mary's esteemed advice might be necessary. Sample ideas: In London, Mary advises the Queen about fashion: Stay away from lavender, dear, it's aging. And don't wear so much jewelry. In Paris, Mary speaks with Mme. Macron about her May/ December marriage: Those short dresses don't do your knees any favors, cher. And don't leave your handsome hubby alone for any length of time While in Rome, the Pope secures an audience with Mary and requests her advice about what to wear for Christmas Eve Mass. Wear white, Francis, I always say you can't go wrong with white. Mary and Toby will both get jobs. Mary will become a dining critic for Paper. Every day she will go to a different Mall restaurant, eat, and write a critique. Cinnabon: "Very good." Sbarro: "Better than homemade." Jerry's Sandwich Kiosk at the Mall: "Bathroom needs cleaning." Toby will become a Mall security guard. First day, she detains every teenager she sees leaving Forever 21, and searches their bags. Second day, she pats down an old man leaving Gentlemen's Wearhouse and accuses him of not paying for one of his two-for-one suits. And so on. The second possible story is about Ian's life as a lad. "Ian-the Lost Years": Ian was a roadie for the Bay City Rollers, and then he went to work for the Rolling Stones. He was very capable of moving all their speakers, etc., but he also had a way with lyrics and choreography. Unfortunately, he was a bad influence on Mick and Keith. Momager Kris Jagger fired him, and he demanded credit for some of the artistic work he had done for the Stones. But he couldn't get any Satisfaction about the lyrics, and there will never be a dance sequence of "Moves Like Cameron." Mrs. Jagger offered to get him a job with the Beatles, but," Ah woods ne'er wark fur those sissy lookin' wee jimmies, e'en if they were the greatest band in the world!" said Ian. After that, he enrolled in Jedburgh Community College and continued on into a career in academia. It was all quite dull except for the part where Ian told the first Mrs. Cameron that he was leaving her for his blonde grad student. Okay, the voting is over, and I'm surprised to inform you that the Mary and Toby job story has been selected, thanks to the votes of KitKat, Nance, Tim, TimP, and Chin Napkin Groupie. Ian-the Lost Years was a close second, with votes from fauxprof, meg,Yahoonski, and Chester the Dog. Those who are concerned about the current Lonely Wilbur/Traveling Dawn story, don't worry. It will devolve into a Wilbur invests in Mary Muffins, changes the name to Wilbur Cupcakes, and loses every cent of his investment. There may be one more panel of Dawn's travels, which will feature crookedly hung Ghiberti doors, and there's a possibility of a visit to St. Mack's Square in Venice. But you'll never see Dawn having an actual romance, or having her purse snatched by a Vespa-riding thief, or getting pinched on a vaparetto, so don't even get your hopes up. I wanted to see Wilbur try unsuccessfully to hang himself because he used a 12 foot rope in a room with a six foot ceiling. This would result in uncontrolled sobbing and binge muffining. As always Meg, great premise. Thanks so much for making me laugh (not out loud though, I'm at work. Turning blue from stifling my laughter.) Anyway, like Mary's muffins, well done! 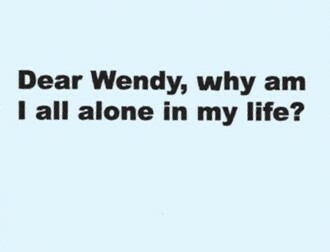 Getting back to Wilbur and his sad sack letter letter writer: "Why am I always alone?" Wilbur: "Uh, it could be because you're a fat gullible sad sack loser like me." @Regina Wolfe-Parks your loneliness might also be connected to the fact you're communicating with an Internet sad sack rather than, you know, talking to people. The only one surprised that Wilbur is alone is Wilbur. Can't wait for Wilbur's sage advice. Nice work Meg. That was fun. Karen Moy, I demand an investigation into voter fraud!! I voted for the Dr. Jeff/clothing from Amazon story line! Harrumph!!!! I propose that the International Association of Advice Columnists file a cease-and-desist order against Wilbur Weston for demeaning and damaging this noble profession. 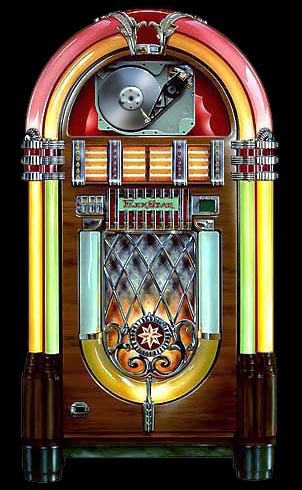 Wanders, Mr. KitKat suggests that Brenda Lee’s “All Alone Am I” be added to the Charterstone Jukebox for Wilbur. Cobrasteve at 12:19 pm, good one! @KitKat: Tell Mr. KitKat to enjoy. I also added Mr. Lonely by Bobby Vinton. Let's spin a triple play with Roy Orbison's "Only the Lonely." One is the Loneliest by who? Was it the BeeGees? @Tim it was Three Dog Night. Today's Strip:Wow Wilbur, jealous much? You would have someone if you weren't such a dull, mayonnaise eating, hair combover, out of shape obnoxious slob. Three Dog Night, which is also what Wilbur calls a trip to the ballpark. Meg is kicking it in high gear with a Bay City Rollers reference, nice! S-A-T-U-R-D-A-Y Night!